In Ugaritic Mot 'Death' (spelled mt) is personified as a god of death. The word is cognate with forms meaning 'death' in other Semitic languages: Hebrew moth or maveth; with Canaanite, Egyptian Aramaic, Nabataean, and Palmyrene mwt; with Jewish Aramaic, Christian Palestinian Aramaic, and Samaritan mwt’; with Syriac mautā; with Mandaean muta; with Akkadian mūtu; with Arabic maut; with Ge'ez mot. Although Semetic languages are not considered related to Indo European, Sanskrit the root word for death in Sanskrit is 'Mrit', and Latin 'Mortus' is also very similar. Mot was produced, which some say is mud, and others a putrescence of watery compound; and out of this came every germ of creation, and the generation of the universe. So there were certain animals which had no sensation, and out of them grew intelligent animals, and were called "Zophasemin," that is "observers of heaven"; and they were formed like the shape of an egg. Also Mot burst forth into light, and sun, and moon, and stars, and the great constellations. that you not come near to divine Death, lest he made you like a lamb in his mouth,(and) you both be carried away like a kid in the breach of his windpipe. Hadad seems to be urging that Mot come to his feast and submit himself to Hadad. 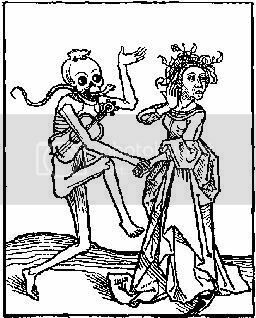 Death sends back a message that his appetite is that of lions in the wilderness, like the longing of dolphins in the sea and he threatens to devour Ba‘al himself. In a subsequent passage Death seemingly makes good his threat, or at least is deceived into believing he has slain Ba‘al. Numerous gaps in the text make this portion of the tale obscure. Then Ba‘al/Hadad's sister, the warrior goddess ‘Anat, comes upon Mot, seizes him, splits him with a blade, winnows him in a sieve, burns him in a fire, grinds him between millstones and throws what remains on the field for the birds to devour. But after seven years Death returns, seeking vengeance for the splitting, burning, grind and winnowing and demanding one of Ba‘al's brothers to feed upon. A gap in the text is followed by Mot complaining that Ba‘al has given Mot his own brothers to eat, the sons of his mother to consume. A single combat between the two breaks out until Shapsh 'Sun' upbraids Mot, informing him that his own father El will turn against him and overturn his throne if he continues. Mot concedes and the conflict ends.